What Are the Latest Trends in the Nightclub Industry? If you’re one of many nightclub investors, plan to build one from scratch, or you’re already managing one, you need to know about the latest trends in the industry. By being aware of these trends, you can determine how to improve your business to satisfy your customers, pique their interest, and keep them coming back. You’ll also stay on top of the game and ensure that you won’t get left behind by your competitors. Several nightclubs have already adopted this trend. Some of them really need to pre-sell their tickets since they have a high demand but only have limited space. Most, however, simply use this marketing technique to create a sense of urgency and encourage customers to get their tickets ASAP. Either way, you can give this strategy a try. It won’t only commit people to show up to your club but will also help you secure revenue in advance. The past few years has seen the rise of complicated drinks that needed numerous ingredients and almost required a degree in chemistry to make. In 2017, bartenders and industry experts foresee that these drinks will become less popular and that classic drinks will again take their place. This means that Manhattans, Vermouth, Negronis, and other classics will make a comeback, albeit with fewer ingredients and higher-quality liquors. Speaking of ingredients, many bartenders expect that refined sugar will be replaced by more natural options such as agave and fresh fruit. Others also point out that probiotic ingredients will become more popular. This trend actually started in 2016, but it shows no sign of stopping and is expected to gain more traction this year. One reason for this is that more millennials are growing up and getting into the nightclub scene. This generation is willing to share their information. This is as long as they can get personalized service in return. This is the kind of mindset that is spreading to other age groups as well. To get into this trend, you’ll want to invest in technologies that allow you to collect customer information with ease and treat each customer as an individual. In the past, many nightclub owners simply wanted to get the word out about their business. There wasn’t any time to see if their efforts really had paid off. Now, many of these entrepreneurs are learning the importance of measuring the results of their marketing campaigns. By taking this step, they can identify the strategies that are working well and invest more money in them. They can also determine which campaigns are performing poorly and avoid wasting money on them. If you’re not doing this yet, you’ll want to work with a nightclub consultant. They will help you create unique marketing strategies and give you the right tools to measure your campaigns’ results. Many people nowadays don’t just go to clubs to drink and have fun with friends. In a more intimate bar setting, customers take the time to learn more about the science behind creating beverages. Engaging with bartenders in conversations about cocktail making is becoming a habit. They’re also more aware about what’s going into their drinks. Customers want to make sure that they’re consuming only the freshest and highest-quality ingredients. Furthermore, bartenders and nightclub owners should be prepared to meet these knowledgeable guests and ensure they can satisfy their curiosity and demand for quality. In conclusion, these are some of the trends that will hit off in 2017. 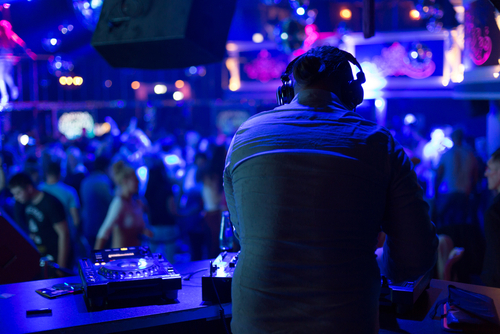 If you’re planning to enter the nightclub industry, get in touch with us here at Perry Group International. We’re a team of hospitality experts who help nightclub investors choose the right businesses with a high potential for growth and ROI.